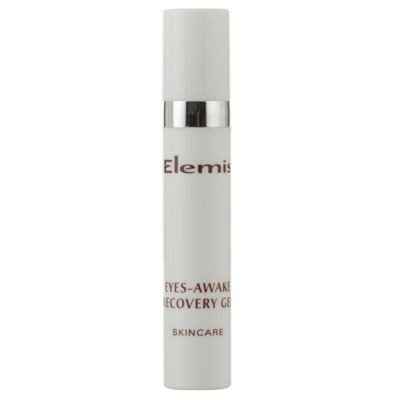 Elemis Eyes Awake Recovery Gel gives instant relief from eye strain caused by prolonged computer use, dehydrating air travel, and polluted environments. Aromatic water of Blue Cornflower is blended with cooling extract of German Chamomile and Mallow, an ancient remedy for dry, irritated skin, to help revive tired eyes. Horsetail gently tones and supports the puffy, delicate skin around the eye contour. Apply gently around the eye contour with light tapping movements, as required throughout the day. I received this product as a sample and have since purchased it full size in a recent promotion. 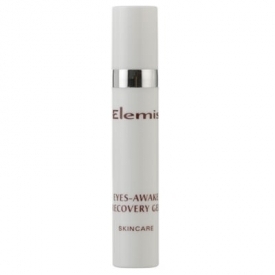 This eye gel is designed to give relief from eye strain, dehydration and irritation. It contains aromatic water of blue cornflower with cooling extract of German chamomile and mallow, an ancient remedy for dry, irritated skin, to help revive tired eyes. Horsetail gently tones and supports the puffy, delicate skin around the eye contour. "I received this product as a sample and have since purchased it full size in a recent promotion. This eye gel is designed to give..."